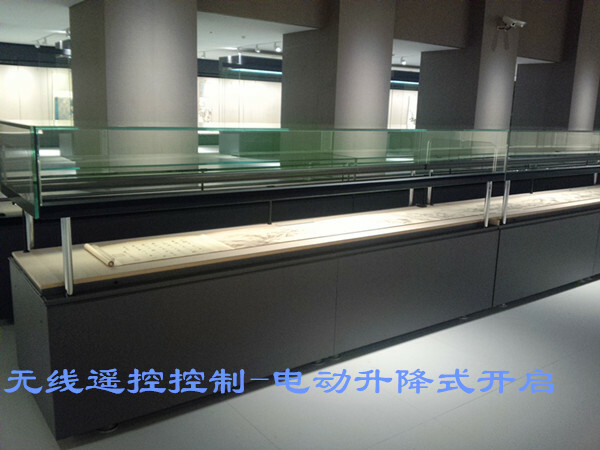 Easy operation even for one person and no any danger to museum staff at the time of opening museum display cases. Master remote-control to control the access of all display cases through portable touch screen device is workable..
C).Manual lift-off/down, applicable to small size of display cases. D).Powered lift-off/down, applicable to medium and large size of museum display cases. C).Powered lift-off/down, applicable to medium and large size of cases. 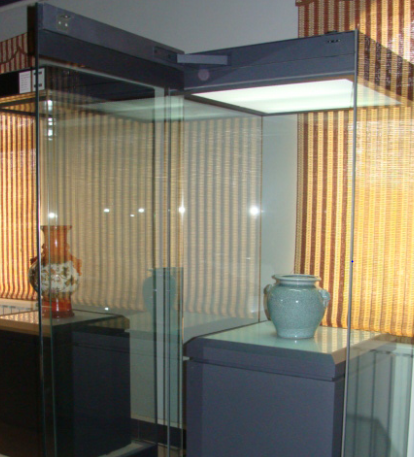 A).Hinged glass panel door,applicable to surface-mounted wall cases and small size of built-in wall cases. B).Pull&slide glass panel door,applicable to surface-mounted,wall standing and large size built-in wall cases.